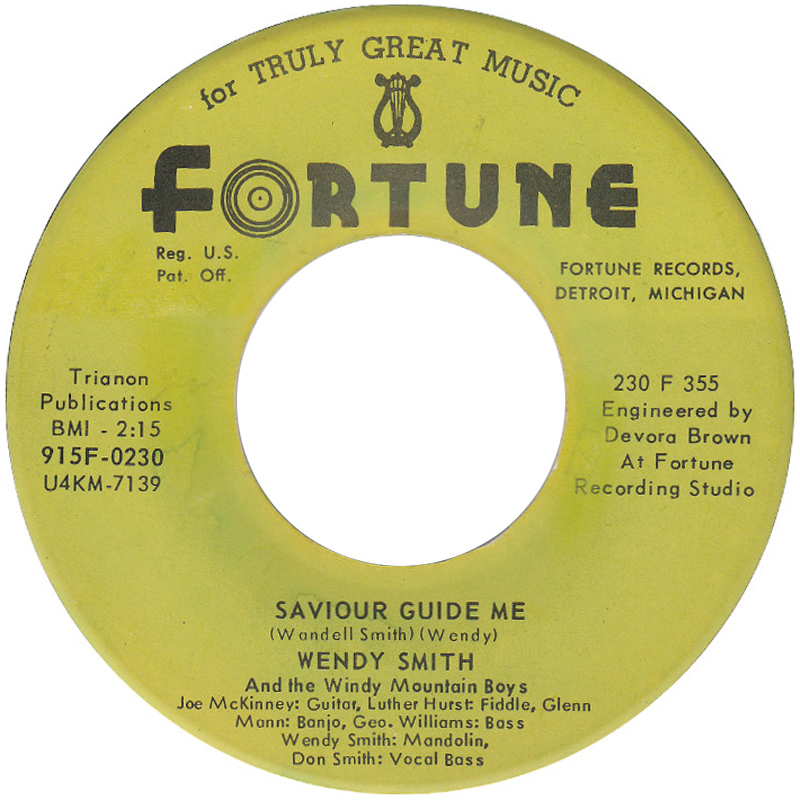 In adddition to Hills Of Home, Wendy would go on to have a bunch of songs recorded by Ralph including: River Underground, Daughter Of Geronimo, Sweet Sally Brown, Lonesome and Shotgun Slade. 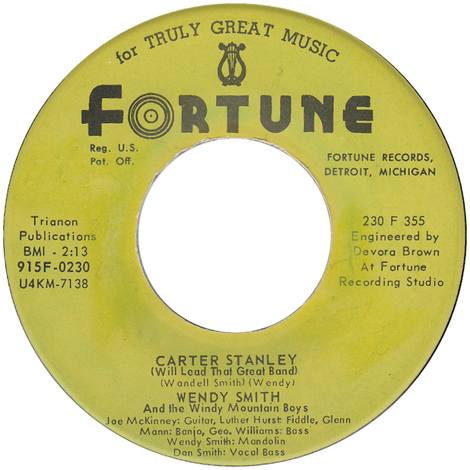 You can hear a 320 kbps MP3 of Carter Stanley (Will Lead That Great Band) here. PS: The Memorial issue of 'Stanley Standard' - the Stanley Brothers fan club journal made mention of this release in Fay McGinnis' introduction, which suggests that it may have been available from the fan-club, or that they included details of how to buy copies in with their subscription bumph.